Ozone removes bacteria and other biological matter from your water in a safe, effective way and ensures this water stays bacteria free. 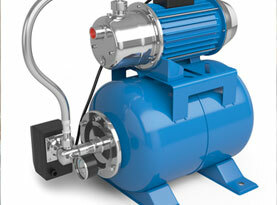 It works by giving a burst of oxone that is tasteless and odorless, into a water tank or water system. Ozone oxides the iron, manganese, and sulfur in the water to form insoluble metal oxides or elemental sulfur. These insoluble particles are then removed by post-filtration, reducing the concentration of these metals in your water. Ozone has a much greater disinfection effectiveness against bacteria and viruses compared to chlorination and greatly reduces or even entirely eliminates taste and odor problems. 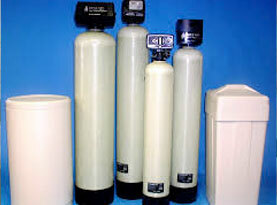 AAA Water Team can assist with all of your Ozone Purification needs! 1. Ozone has a very strong oxidizing power with a short reaction time and is effective over a wide pH range of levels. It quickly reacts to remove the bacteria, viruses, and protozoans in your water. Ozone actually cleans your aeration tanks and prevents sulfur and slime – breeding grounds for lizards and frogs. 2. 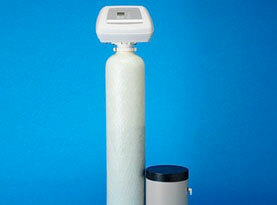 Ozone is a natural sterilizer and has stronger germicidal properties than chlorination. In fact, it purifies water 300 times better! 3. Ozone can eliminate a wide variety of organic, inorganic and microbiological problems including harmful bacteria, viruses, and protozoans such as Giardia and Cryptosporidium. 4. Ozone leaves no aftertaste or smell and is environmentally friendly. After the ozone if finished with the sterilization process, it dissipates as oxygen, which leaves your water oxygen enriched. 5. 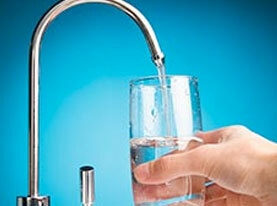 The treatment process does not add chemicals to the water like other purification systems.